Why do we feel attracted to a particular person and fall in love? Of course you have certain preferences, but it’s strange, however, why we fall in love with one person and not the other. Our higher self has the answer, because here lies the motivation, from which we are encouraged to fall in love. Of course, it’s biology, which causes the chemical processes to get started in our bodies and allow us to float on pink clouds. But this is triggered after our soul has recognized that other soul and knows that a connection must be established to achieve our learning goals. There has been a long-term contact on a soul level before you even catch a glimpse of your new lover to be. To make sure we have enough interest and spend time with the other to learn our lessons, we fall in love. Of course, there is still our free will, but few can escape the iron grip of romance. 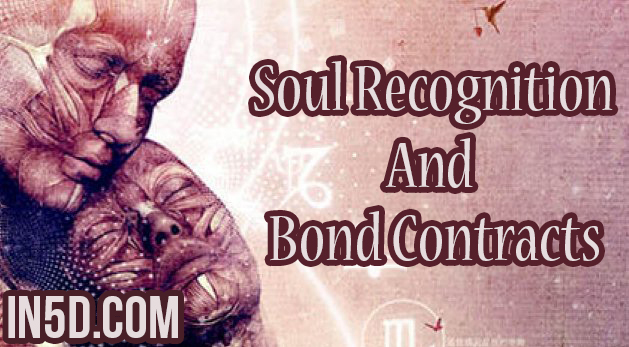 Falling in love with someone, means you have made a bond contract with another soul to experience certain emotions. A learning process that you have agreed upon to go through, before your soul entered your psychical body. This person can be someone you already know from other life times or someone new, where your soul expects to learn valuable lessons from. Either way, postponing may be possible, but avoiding the lesson you need to learn is impossible. You can assume that the universe puts all its effort to make you meet up with your lover, in order to make you go through the important life lessons. There is no such as coincidence here, as you probably intuitively know already. The kind of bond contract you have with someone depends on a lot of factors, but there is always a mutual interest in the lessons that need to be learned. When you finished learning, what you were assigned to, often you can feel this deeply inside yourself and this is being translated into losing interest in the other person. This is usually a process and it may take a while before the relationship is actually terminated. In my own case, I had a relationship that was overdue for more than a year. But here too, free will played a role and on both sides there was much resistance to end it. In your heart you know, but it really wanting it is another story. When the lessons you learn are tough and fierce for you, mostly there is karma that has to be redeemed. There is no escape because, the balance in the universe is disturbed and that has to be corrected again. How often do people stay together for the rest of their lives? Of course, this happens, but mostly you need more lessons from different teachers to get deeper insights. The ingenious plan of the universe to let you fall in love can only be embraced, because deeper wisdom is not conceivable that we take out of these lessons. And if it’s only for the short moments of bliss, in where we are convinced that it will last forever. However, it is the acquired knowledge that will never be lost. The experience you encounter each time is invaluable and is therefore the mother of all knowledge.